Mansfield Cosmetic Surgery Center provides KYBELLA® injections to clients living near Mansfield, Arlington, Fort Worth and Dallas, Texas, for an improvement in the appearance of submental fullness in non-obese adults. Submental fullness is commonly referred to as a double chin and appears as loose fat below the jawline that creates an unattractive chin profile. 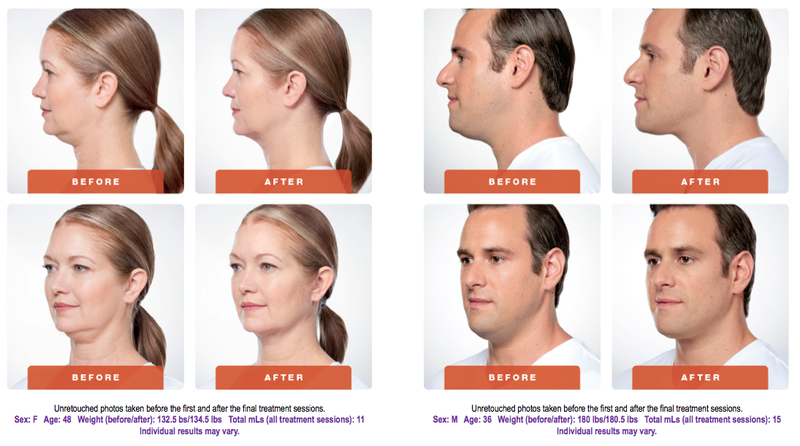 KYBELLA® is the first and only FDA-approved nonsurgical option for the treatment of excess neck fat. As a nonsurgical treatment option, KYBELLA® is the perfect alternative for patients not desiring to undergo liposuction surgery of the neck. Through a series of KYBELLA® treatments, you can specifically target and eliminate mild to moderate submental fat. Submental fullness can be caused by aging, weight gain and genetics. The genes for water retention and fat storage are held in your DNA, so if your family has a history of submental fullness, then your chances to develop it as well are increased. You may have experienced submental fullness your entire life due to genetics, or it may have recently appeared due to weight gain or the effects of aging. As the skin ages, collagen and elastin production slows down causing tissues to lose their youthful elasticity and laxity increases. The muscle and skin underneath your chin will not be able to support the fat as tightly as they once did, causing skin and fat to sag and creating the double chin appearance. This area of fat can be highly-resistant to dieting and exercising. KYBELLA® treatments can target this area directly to eliminate stubborn pockets of fat and contour the jawline. The main substance in KYBELLA®, deoxycholic acid, is a naturally-occurring acid found in the human body that destroys fat cells. The synthetic form of deoxycholic acid present in KYBELLA® is identical to the natural deoxycholic acid found in your body. After KYBELLA® is injected into the fat area beneath your chin, it destroys the cell membranes so that they can no longer store or accumulate fat. The body’s own natural metabolism then clears the destroyed fat cells through the lymphatic and circulatory systems. It is good to know that the fat cells are completely and permanently destroyed — meaning they will never come back! However, it is possible to undo the benefits of KYBELLA® treatments through an unhealthy lifestyle that leads to weight gain. In other words, the destroyed fat cells are gone for good, but you will not be immune from gaining submental fat in the future. What can be expected during KYBELLA® treatment sessions? 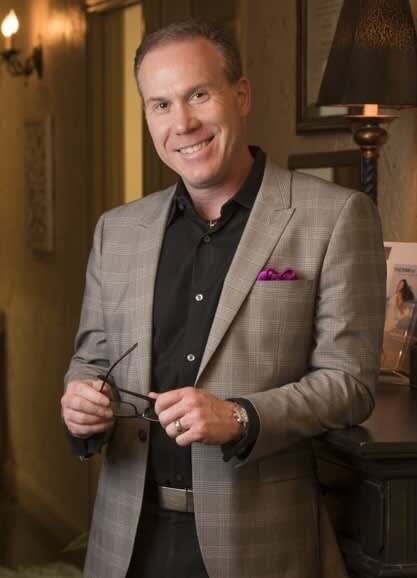 Kybella injections are performed in the office by Dr. Michael L. Thornton, a dual board-certified Cosmetic Surgeon, with each treatment session taking approximately 30 minutes to complete. Those seeking treatment through KYBELLA® must be non-obese with a BMI of less than 30 in order to be a candidate. After the maximum aesthetic response is achieved, further with KYBELLA® is not expected. During your treatment sessions, Dr. Thornton will give you a series of injections into the fat compartment under your chin. For most patients, two to four separate treatment sessions are required to achieve maximum aesthetic results and desired chin profile. Up to a maximum of six separate treatment sessions may be required based on individualized goals. Each session must be spaced at least one month apart to allow residual swelling to resolve. Ice packs, cold compresses and topical anesthesia can be used to limit pain from the procedure. KYBELLA® treatments are not considered to be painful but may cause some discomfort. Each KYBELLA® treatment plan is individually customized and the dose administered and the number of treatments required will vary from patient to patient based on the amount of fat and the size of the area treated. What are common treatment side effects from KYBELLA®? The most common treatment side effects are swelling, bruising, pain, numbness, redness and areas of hardness. You should anticipate swelling and mild bruising that may last several days after each treatment, but will be able to return to work and resume your daily activities immediately.